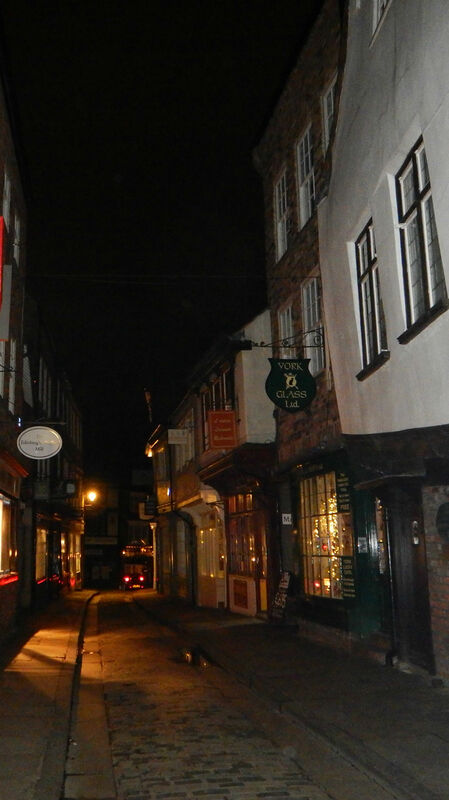 During my visit to York, I went on a ghost walk. A city with such a long and rich history is bound to have ghosts lurking about. 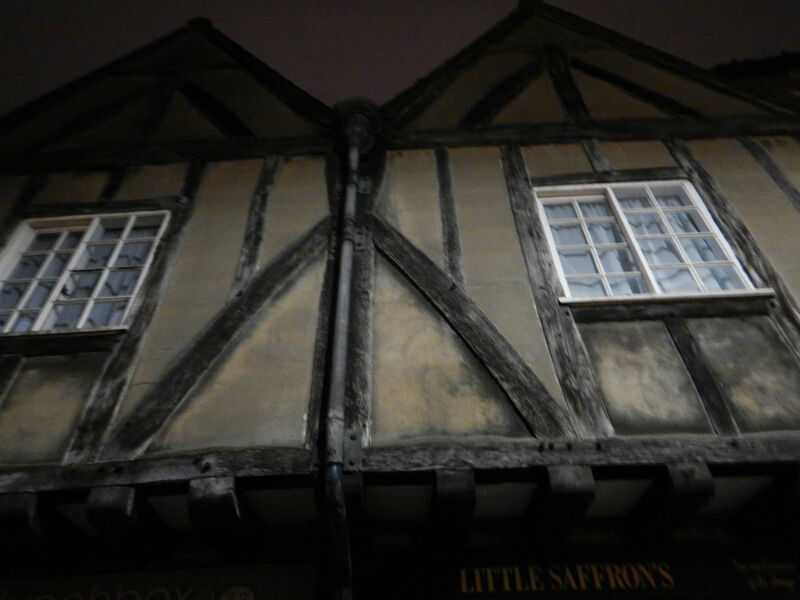 In fact, York is known as the most haunted city in England. Our excellent guide took us to places where ghosts sightings and paranormal activity have been reported. 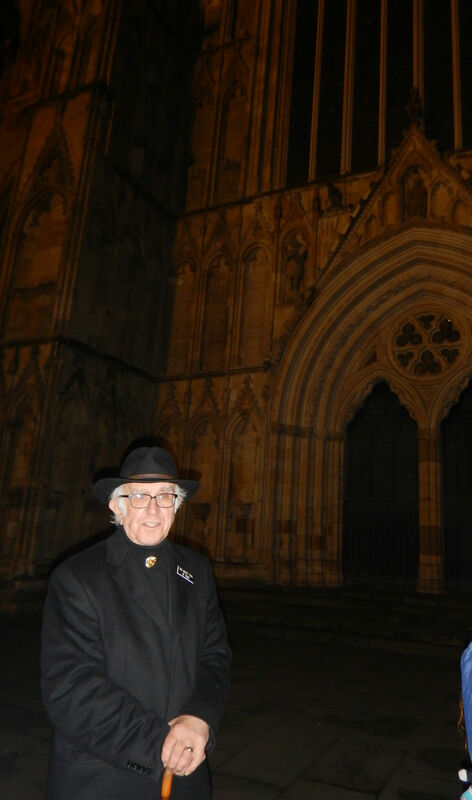 We began the tour at the York Minster on a chilly misty evening. 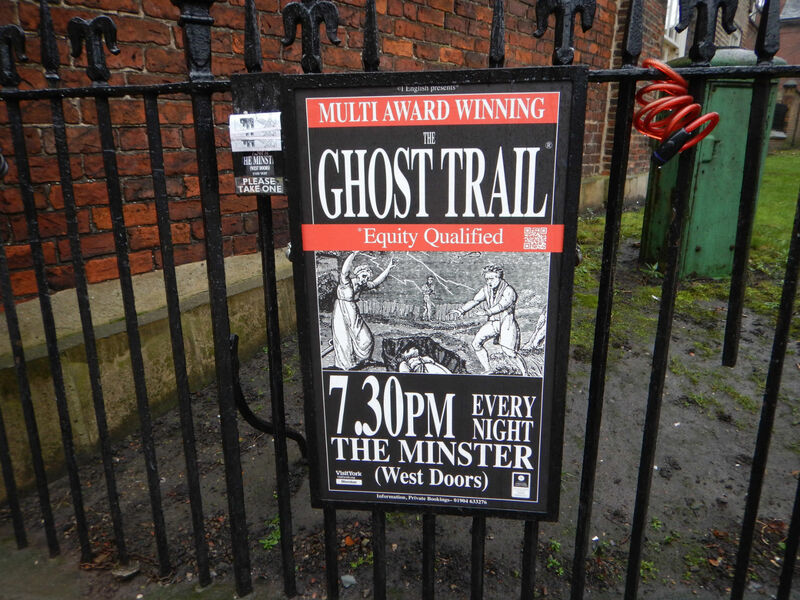 One of many Ghost Walks available in York. 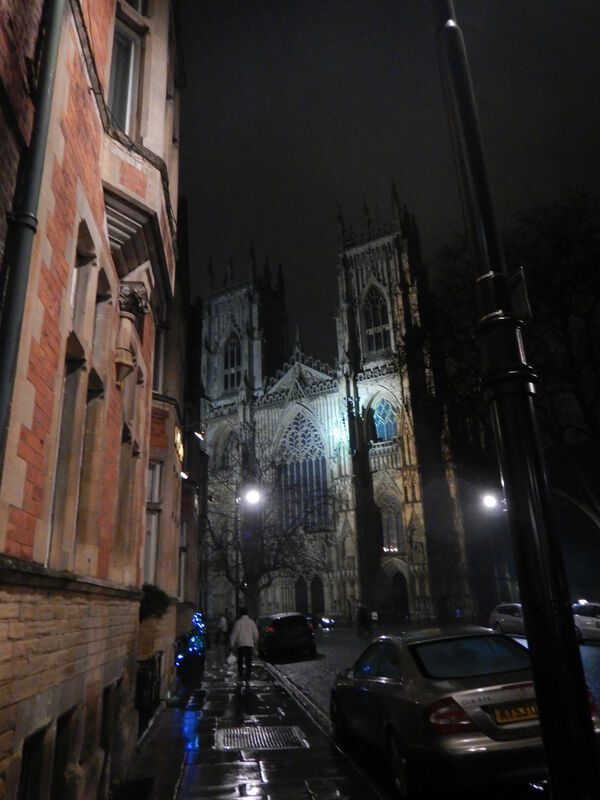 The York Minster looking spooky at night. Our knowledgeable and entertaining guide. I expected to an apparition to appear at any moment. 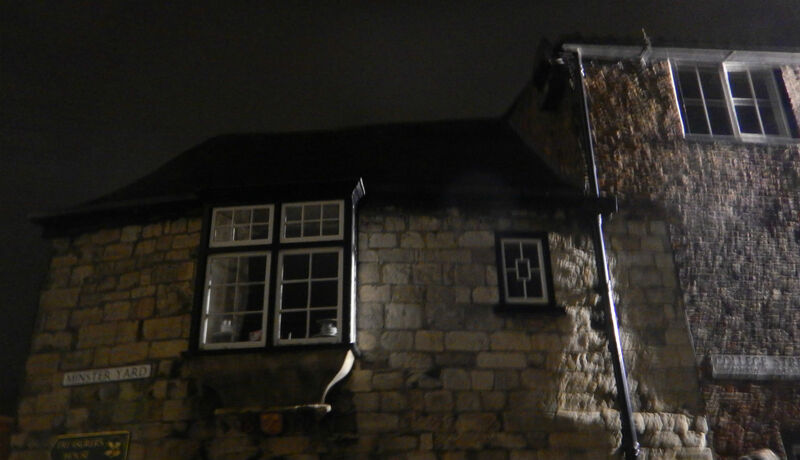 Some say the face of a young girl appears at the small window in this house. This ghostly child starved to death after her entire family died from the plague as no one was willing to go into the house to get her. Sad times. Working in the cellar of the Treasure’s House in 1953, plumber Harry Martindale was terrified when a group of Roman soldiers walked past him. He noted that the figures disappeared into the floor at knee height. Later investigation revealed a roman road half a metre under the basement. 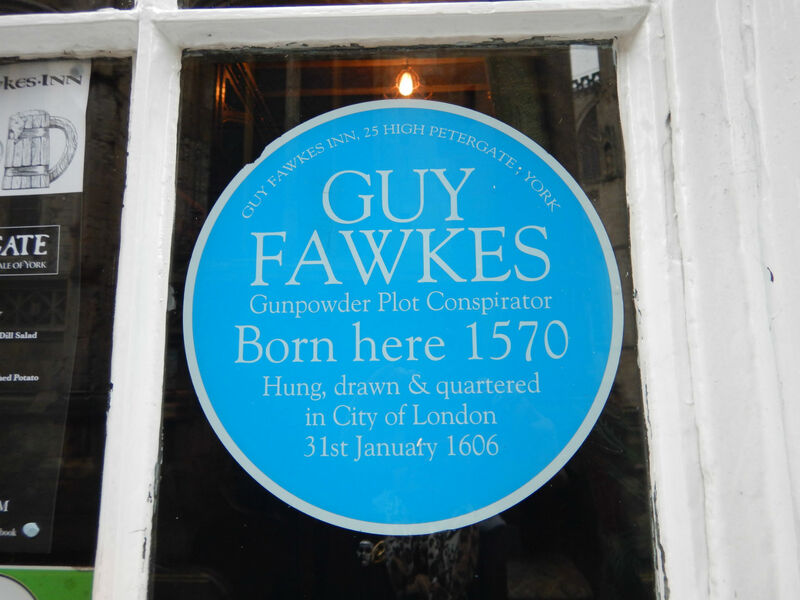 York is the birthplace of Guy Fawkes and is also where he is buried. Unfortunately, his head was buried in one place and his body in another. Apparently, he wanders the Shambles at night looking for his head. I didn’t encounter him, although I did find an inn named after him. 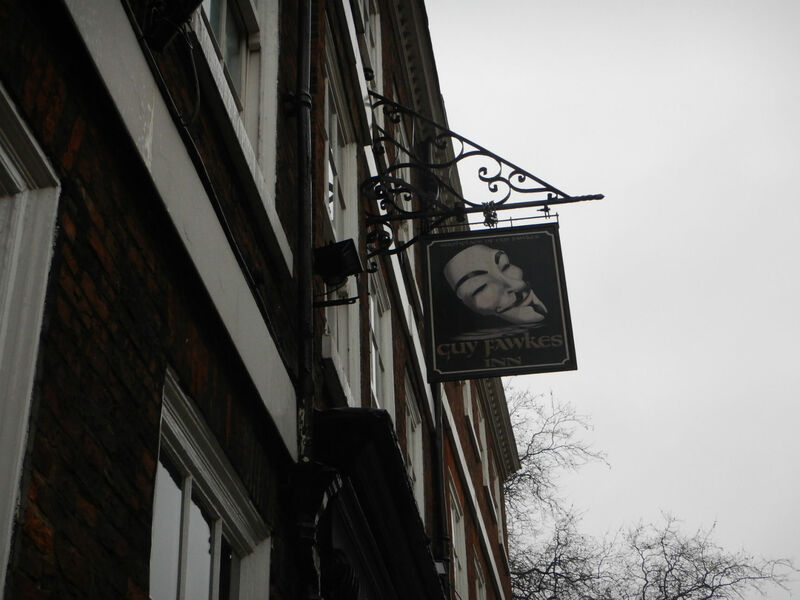 The ghost of Guy Fawkes is supposed to wander the Shambles at night looking for his severed head. 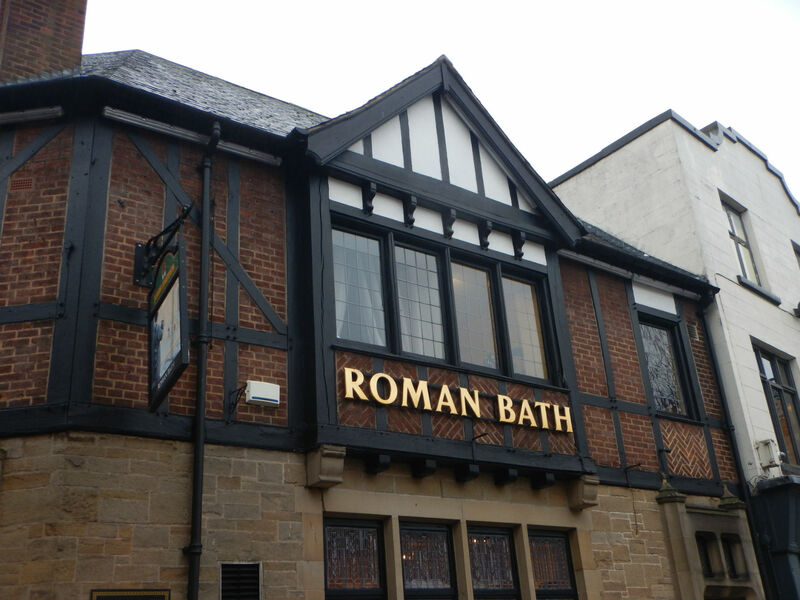 Mysterious splashes have been heard late at night at the site of the ancient Roman baths. During a daytime walk around town, we found these guys hanging about. 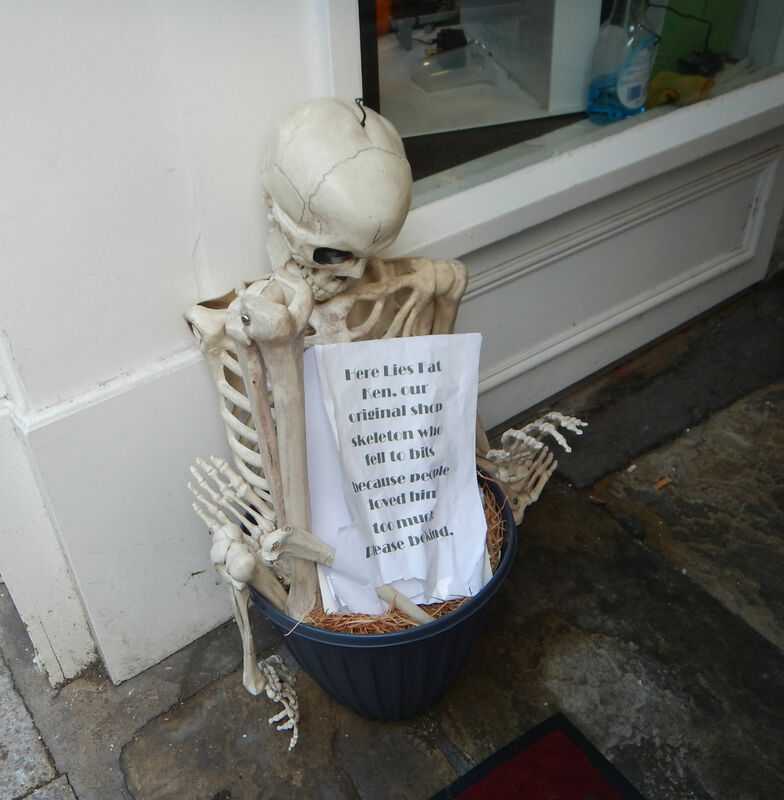 The sign says, Here lies Fat Ken, our original shop skeleton who fell to bits because people loved him too much. Please be kind. So why all the interest in ghosts, skeletons and creepy things? 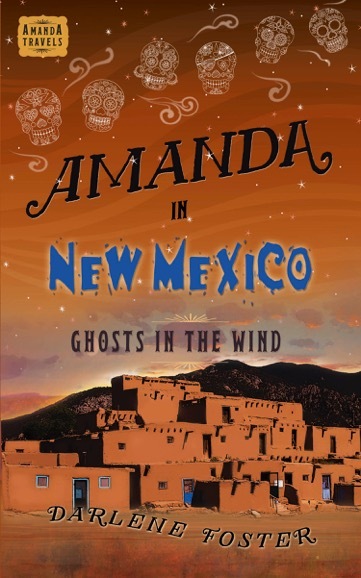 Probably because I´ve been busy doing final edits on Amanda’s next adventure, Amanda in New Mexico – Ghosts in the Wind. You guessed it, there will be ghosts in this story. What do you think of the fabulous cover my publisher created? I´ve been on a number of ghost walks. They can be good fun and the guides are usually very entertaining. 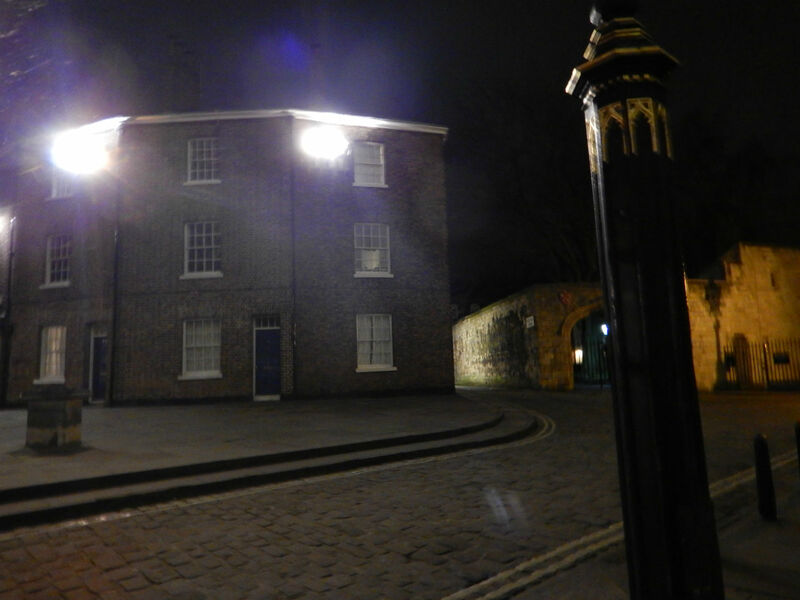 Have you ever been on a ghost walk? Do you enjoy hearing or reading about ghostly encounters?